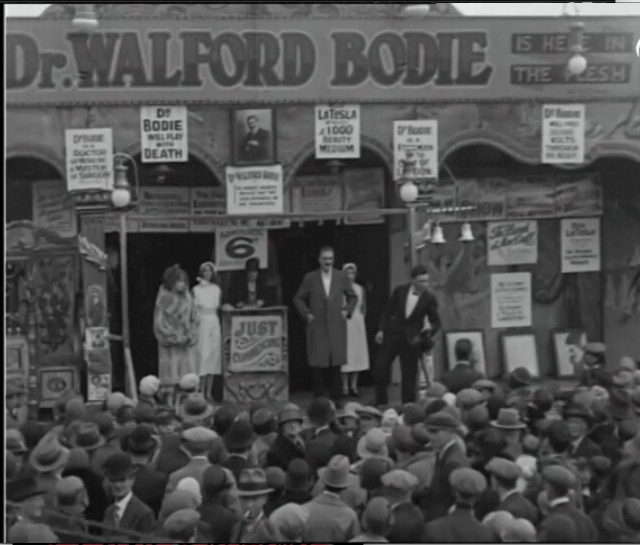 Click here to see Walford Bodie for 10 seconds at the Mitcham Fair in the UK. Click your back button to come back. 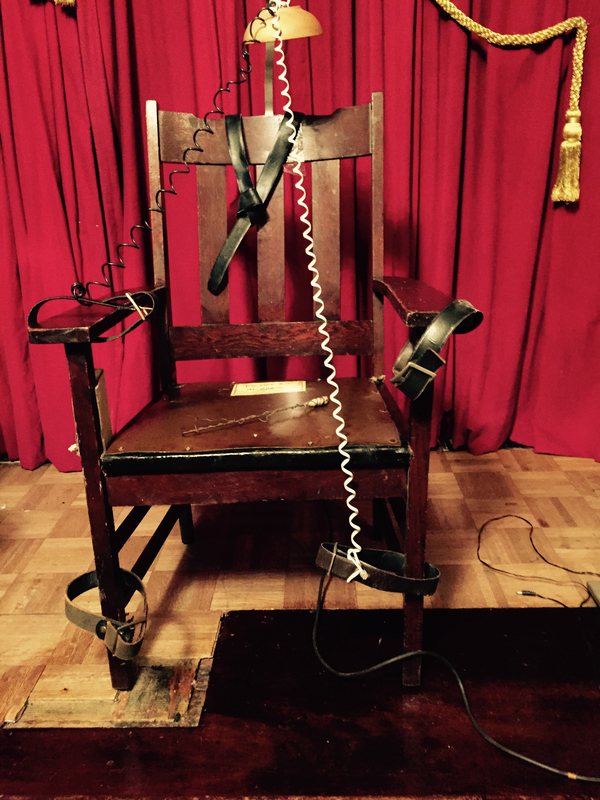 Here is our Electric Chair modeled after the Walford Bodie & Houdini Chair that we use in our Halloween shows! 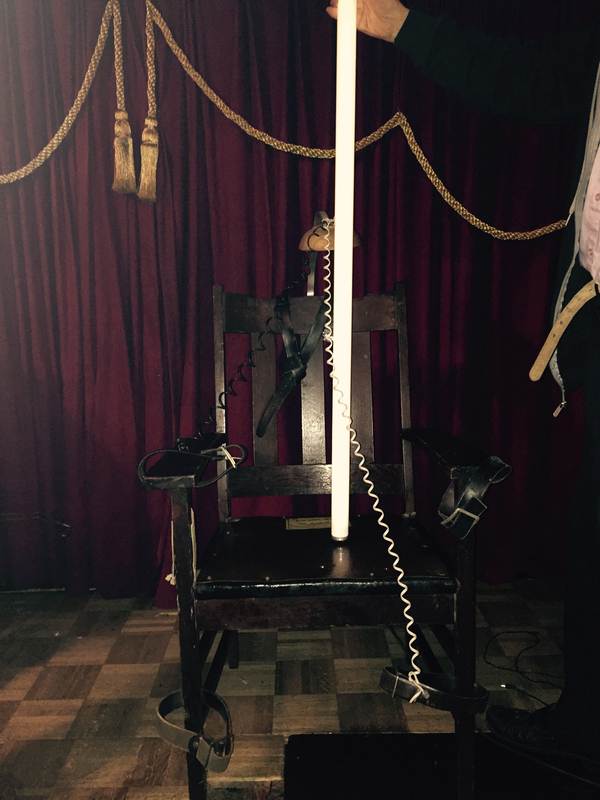 It lights bulbs and torches as well as electrifies anyone who sits in it, or on their lap! 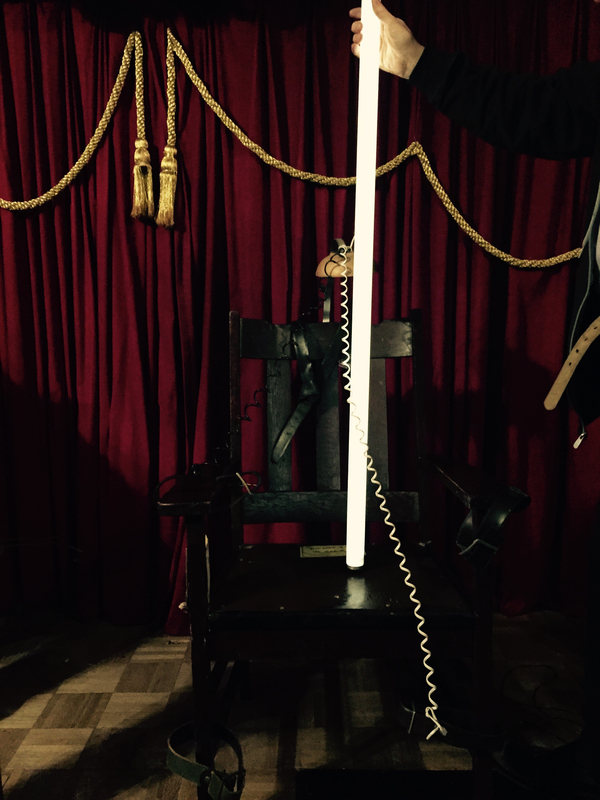 Learn about some of the Magicians who make this possible. Official letter from the Harry Houdini Family on recent Hary Houdini exhume headlines click here. Google links to how Dorothy Dietrich follows in Harry Houdini's footsteps as investigator of "psychics" who claim to contact your dead relatives or even Harry Houdini. Back to top of this Harry Houdini page. Harry Houdini! His magic & escapes. The only building in the world totally devoted to Harry Houdini. Tours change & includes a magic show. Press release about the exhibitand our magic shows have national and international significance, having been featured on many TV Shows including The Travel Channel's "Magic Road Trip." 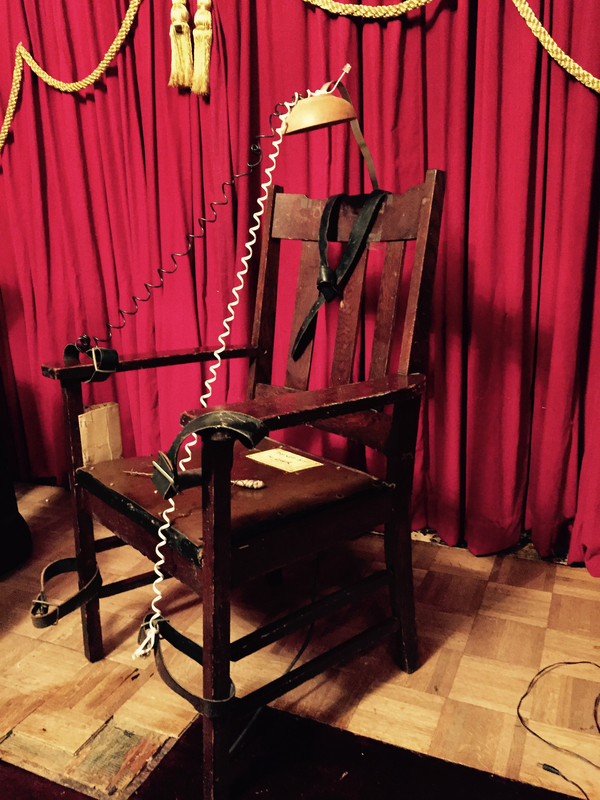 Open for 20 years, prior to that on display at the legendary Magic Towne House in NYC where we also did the Harry Houdini Halloween seances (Harry Houdini's home town as an adult), that was then passed on to magician Dorothy Dietrich and moved to our new location here. 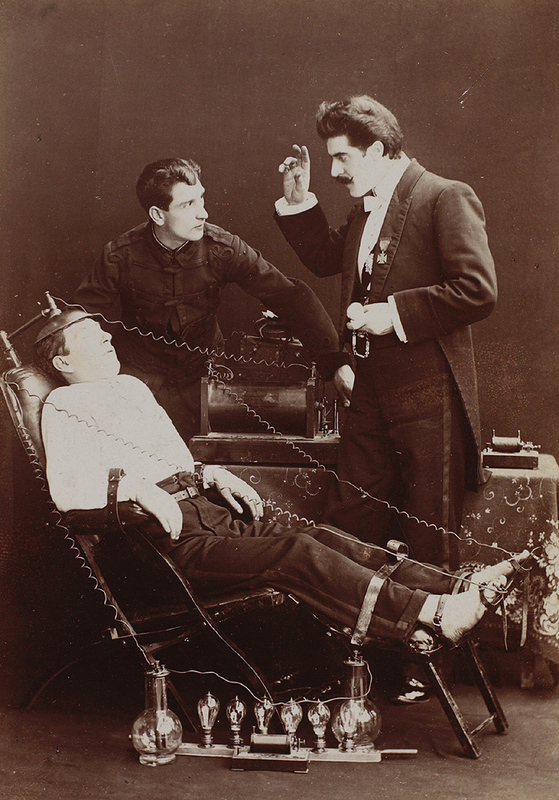 The Harry Houdini Museum exhibit and our magic shows have been called one of the most unique attractions in the world. Dates and times subject to change.